You ever notice how you don’t know what to say to someone who has cancer? ‘What if I say the wrong thing?’ ‘What if they cry?’ Etc. Let me state clearly here that I cannot possibly relate to someone with the disease and I would not dare to try. What I can relate to is having a condition that is somewhat debilitating and that everybody knows about. In January, I tore my ACL, MCL and suffered Meniscus damage. How? you ask. Well, I was fighting off wild lions from attacking a group of orphans… or something like that. This statement, I can relate to. I don’t mind being asked about my knee, it shows that you care enough to ask. However, I understand what he means about it being a ‘full time occupation’. It is all I have thought about for the last 9 weeks. I am sick of it, sick of crutches, sick of my knee hurting, sick of my therapist telling me to push harder. I do not need to be reminded of my condition. 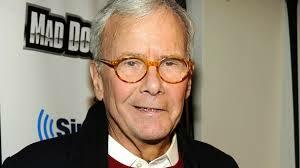 Then Brokaw made his next point, ‘If you have a funny story, call me. Or if you have something new to share, let me know’ (I did a bit of paraphrasing there). What he meant was this. People with the condition do want your company, especially if you’re going to help them get their mind onto something else. If you heard a good joke, call me. If you want someone to share ice cream with, I’m your guy. And even if you have a similar story as mine with a HAPPY ending, tell me. I can’t tell you how often I’ve heard about how awful someone’s knee surgery was. Not to offend, but that is really not what I need to hear right now. That said; the best thing for knee rehab is a daughter with a whiteboard and a little creativity. I see this every day as I walk out of my bedroom.Now that’s the kind of thing a hurting person needs to see. And actually, she’s added to it since I took this picture. Do you see what I mean? No mention of surgery, nothing about a knee. Just confidence in and encouragement for her Daddy. While I’ll admit that daughters have an inside track on the rest of you, she’s figured out that it’s all about encouragement. I think between her and Tom, we can all learn something. Good article Robb, I always am at a loss for words when I here of bad news from a friend or client, whether its cancer, death, or any other tragedy. 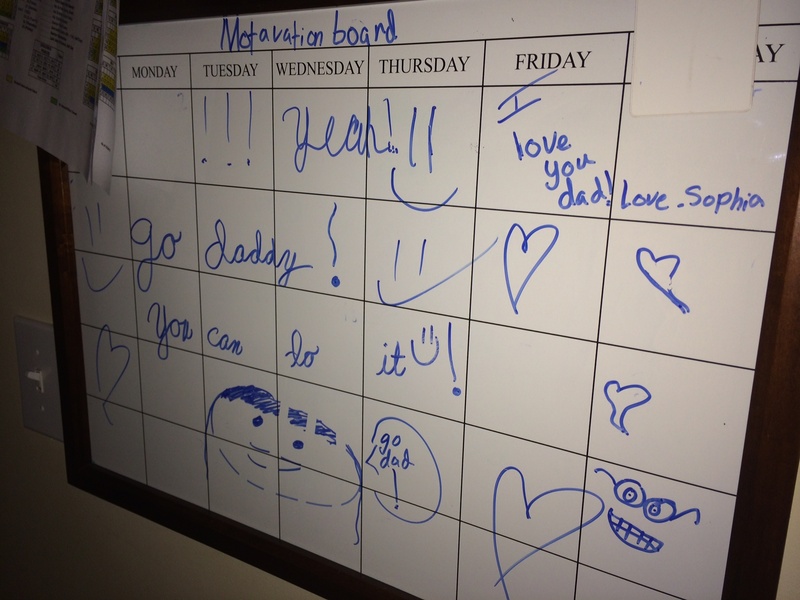 I like the board Sophia made for you. Get better soon.